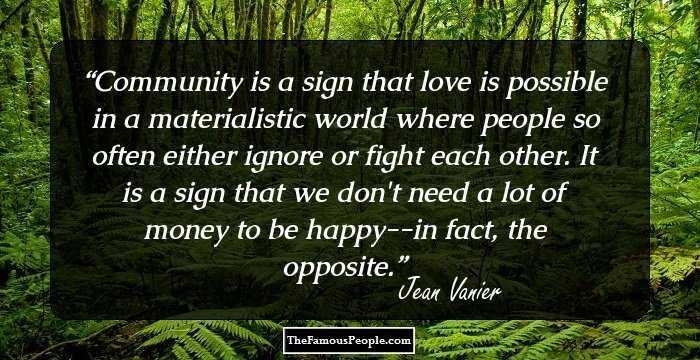 A collection of sayings and quotes by Jean Vanier on community, brokenness, forgiveness, books, death, growth, someone, love, life, ignorance, belief and growth. 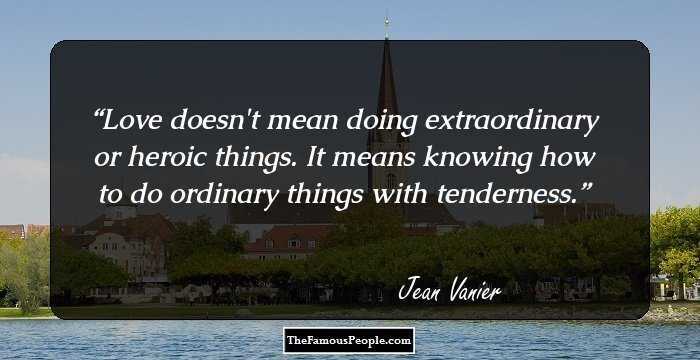 Jean Vanier is an illustrious Canadian Catholic philosopher, humanitarian and theologian. He is accredited with founding ‘L’Arche’. This is an international federation that works for people with developmental disabilities and those who help them. He is also the co-founder of ‘Faith And Light’, which also works for people with developmental disabilities, their kith and kin, in over 80 countries. He has also penned down more than 30 books in which he has shared his thoughts, views, experiences and opinions on subjects close to his heart including tolerance, religion, normality, disability and success. 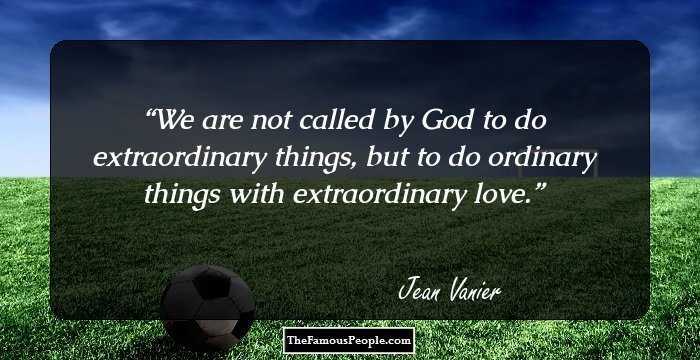 We have collected some famous quotable quotes and sayings by Jean Vanier which have been excerpted from his works, writings, books, thoughts and life. 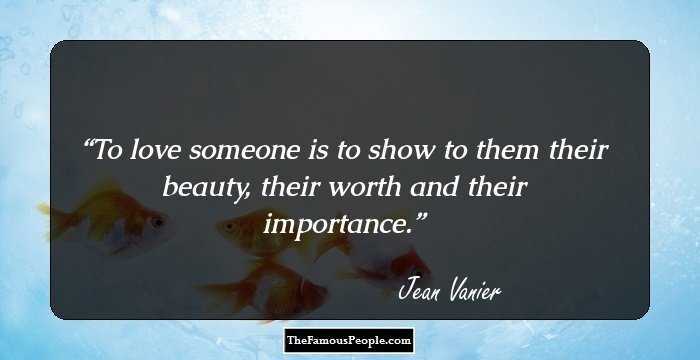 Zoom through the quotes and thoughts by Jean Vanier which are sure to enlighten you. Many people are good at talking about what they are doing, but in fact do little. 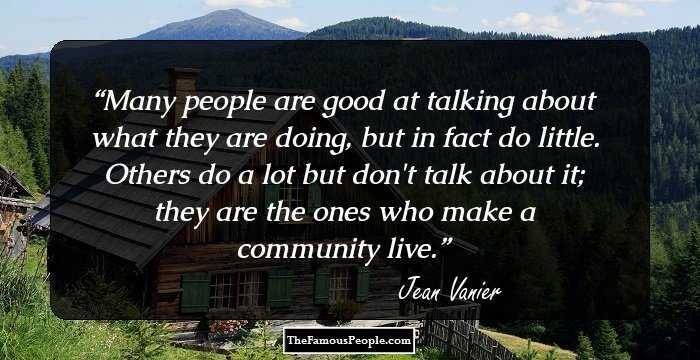 Others do a lot but don't talk about it; they are the ones who make a community live. Love doesn't mean doing extraordinary or heroic things. 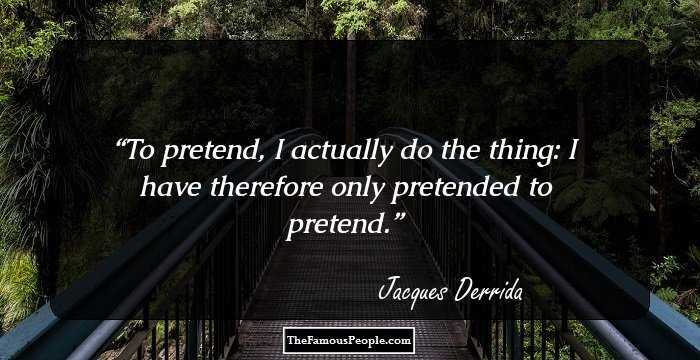 It means knowing how to do ordinary things with tenderness. If we are to grow in love, the prisons of our egoism must be unlocked. 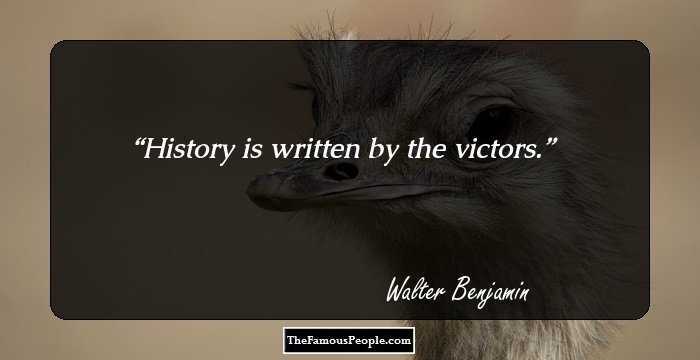 This implies suffering, constant effort and repeated choices. When we love and respect people, revealing to them their value, they can begin to come out from behind the walls that protect them. All of us have a secret desire to be seen as saints, heroes, martyrs. We are afraid to be children, to be ourselves. A Christian community should do as Jesus did: propose and not impose. Its attraction must lie in the radiance cast by the love of brothers. People cannot accept their own evil if they do not at the same time feel loved, respected and trusted. Every human activity can be put at the service of the divine and of love. We should all exercise our gift to build community. When children are loved, they live off trust; their bides and hearts open up to those who respect and love them, who understand and listen to them. 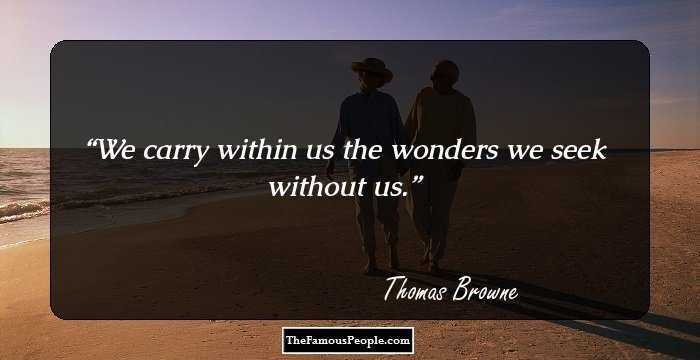 I have discovered the value of psychology and psychiatry, that their teachings can undo knots in us and permit life to flow again and aid us in becoming more truly human. 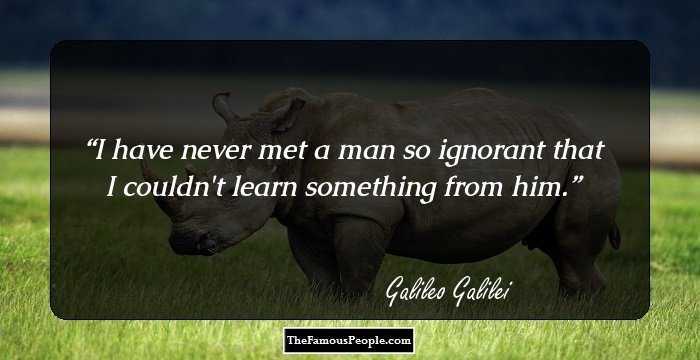 Envy comes from people’s ignorance of, or lack of belief, in their own gifts. 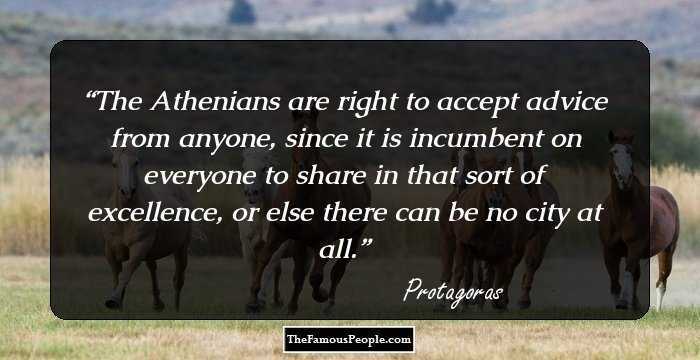 True peace can rarely be imposed from the outside; it must be born within and between communities through meetings and dialogue and then carried outward. We work for peace every time we exercise authority with wisdom and authentic love. The word love has been so abused by publicity and advertisements that we no longer know really what it means. An ethics of desire is good news for those of us who have become allergic to an ethics of law. The friend of time doesn't spend all day saying: 'I haven't got time.' He doesn't fight with time. He accepts it and cherishes it. 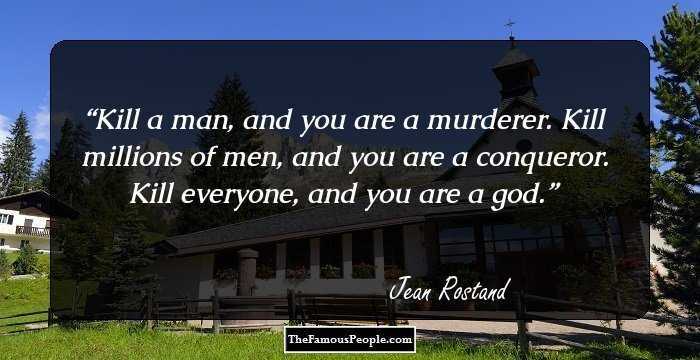 We human beings are all fundamentally the same. We all belong to a common, broken humanity. We all have wounded, vulnerable hearts. Each one of us needs to feel appreciated and understood; we all need help. Weakness, recognized, accepted, and offered, is at the heart of belonging, so it is at the heart of communion with another. The language of elitism smells bad! It is not healthy to believe that we are the only ones to have captured truth and even less healthy to condemn others. That is the fundamental question; how to trust that she has a heart and that she can, little by little, receive love, be transformed by love, and then give love.